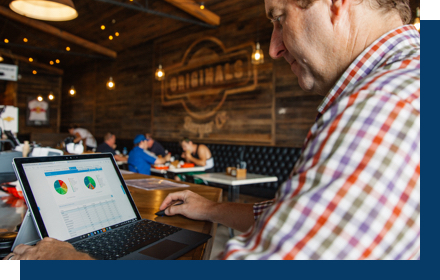 Revel’s cloud-based point of sale solution provides businesses with a single, comprehensive platform to manage operations. The robust platform connects every level, from location staff through corporate management. Comprehensive front of house and back of house tools enable automation for streamlined processes. 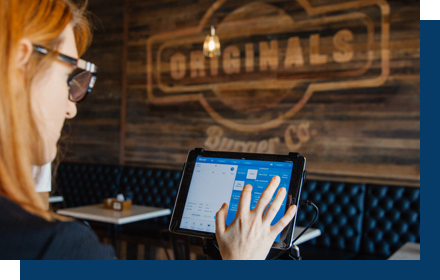 Employees and customers benefit from quick transaction times and customized ordering options. 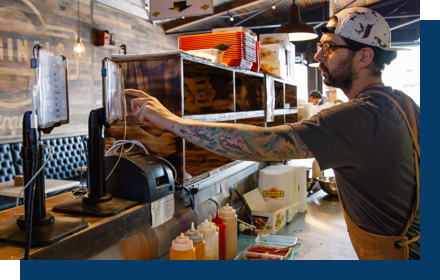 Increase speed of service with connected services – every order taken at a point of sale, mobile order taker, or kiosk is sent directly to the Kitchen Display System queue for accurate preparation with less down time.